Putting keyword research and SEO at the core of your business strategy can change the way that you align your marketing activities with the customer journey to create new and unique opportunities. In this article we explore the link between keyword research, SEO and marketing. We will challenge the traditional view of the customer journey which tries to find a market for an existing product, and look at it from the point of view of the customer. 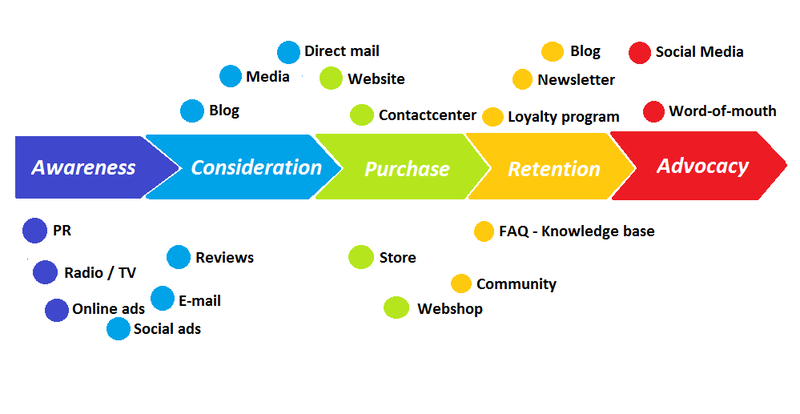 The typical customer journey is often viewed as starting out quite passively (Awareness) and ending with the active Advocacy of a product. However, with the advent of search engines comes an opportunity to turn this Awareness into more active participation. Rather than creating a product, and then trying to make the market Aware of it, keyword research allows us to approach marketing the other way round. Given that at any one time, our prospective customers are researching solutions to their problems, it seems only logical to use their own queries to fuel the product development process. Not only that, but if we are producing me-too products, we can see what kinds of comparison points the market feels are important, which will help to design the solution as well as give us a conversation in which to participate once the product has been created. Advocacy: customers will generate conversations that can be leveraged as content in their own right (testimonials, for example) or new opportunities to develop the relationship further (products, services, and so forth). At each of the five stages above, there are opportunities for keyword research and SEO to work together to help propel the business forward. Using a niche keyword research service such as those offered by The Keyword Coach enables you to pick the market's brain and build up a picture of what's important to your future customers. Your basket of keyword phrases is a resource upon which entire businesses can be built. The Keyword Coach treats keyword research and search engine marketing as strategic resources, rather than merely a part of your online presence. As such, they are constantly evaluated in terms of internal and external context, how they can be deployed (using a Plan-Do-Check-Act cycle), and integrated with the strategy of the organisation. One example of this is performing Amazon niche site keyword research for product owners (including authors). Amazon is not only a marketplace, but also a search engine, with almost all the features that a traditional search engine has, including auto-suggest. Coupled with using an indexing engine like Google, it is possible to leverage user generated content as well as marketing content to take advantage of the conversations that are created during the customer journey: from their initial discovery of a product, asking questions about it and eventually leaving reviews. All of these interactions use key words to describe aspects of the product, both positive and negative, and keeping track of them will help create real opportunities. 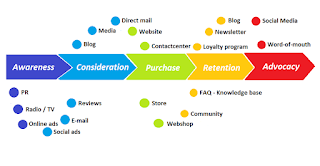 In a larger context, the same processes can be used to track customer conversations both on the organisation's site, in social media, and through search engines in order to help make strategic decisions as to what to take to market, where to concentrate efforts and picking the best time to launch.